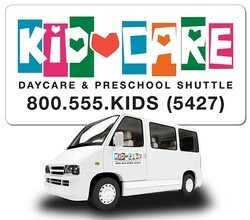 A pretty 24 x12 round corner school magnetic car sign can do justice to any big or small promotional campaign started by schools to improve their brand value. 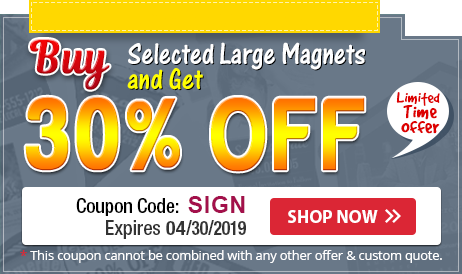 Advertisers who wish to cut down their advertising budget can always seek these magnets in large numbers and customize it with business information against a small payment of $12.35. School management can affix these stickers over their school vehicles and at other visible spaces such as the small sign boards near school to gain easy visibility.